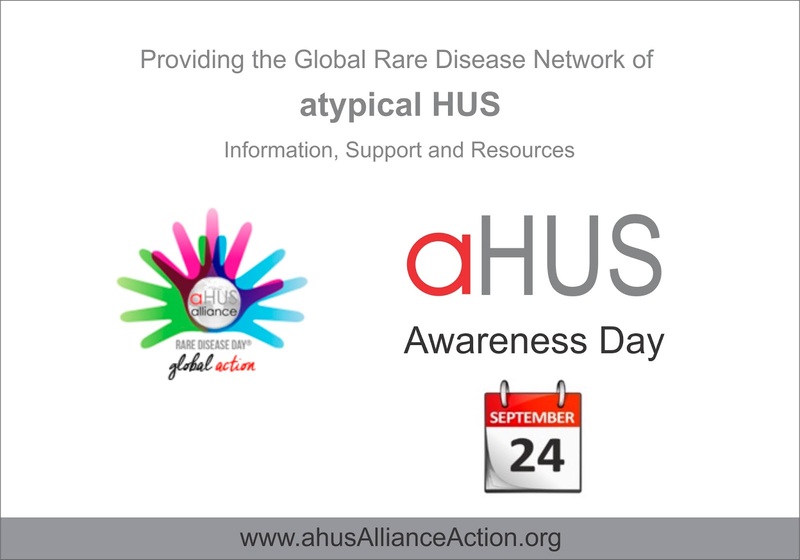 The Atypical HUS Alliance, an umbrella organisation of aHUS Patient Organisations from across the world launched the 2016 aHUS Survey. This survey can be found here. The survey is a very important tool for patients' voices to be counted in the work that is being done in the field of aHUS. Especially with a disease as rare as this (estimates put the number at between 2 and 3 per million population, which incidentally classifies this as an 'ultra-rare disease'), it is important that more data is collected and published. When patients in countries such as India have no access to the only available treatment for this disease, this kind of data would be very useful in making a case before the government to do something in the future for this population. The survey is going to be open until the end of March 2016 following which the results would be analysed and published. Country-wise data would also be published which would give unique insights to clinicians and researchers into country-specific features of the disease. Please fill in the survey yourself, encourage others you know who are affected to do this as well. There is a Facebook badge which you can download after you've filled the survey!